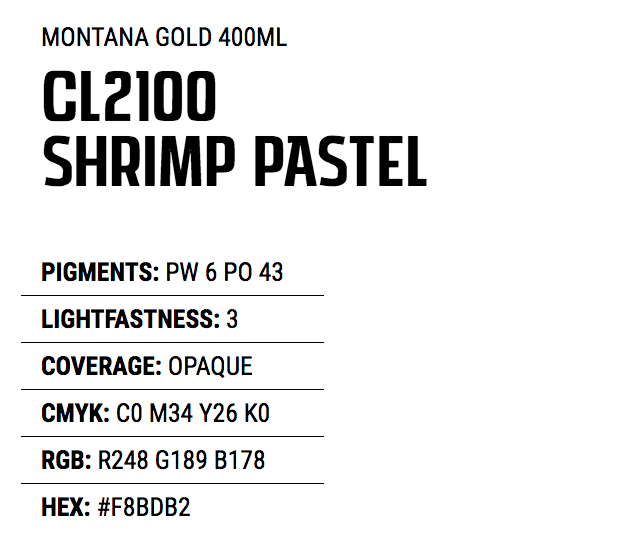 CL2100 Shrimp Pastel is a color shade out of Montana GOLD’s classic tones. Soft creme shade that is a lighter version of the CL2100 Shrimp, but it is not less lightfast. Great coverage. 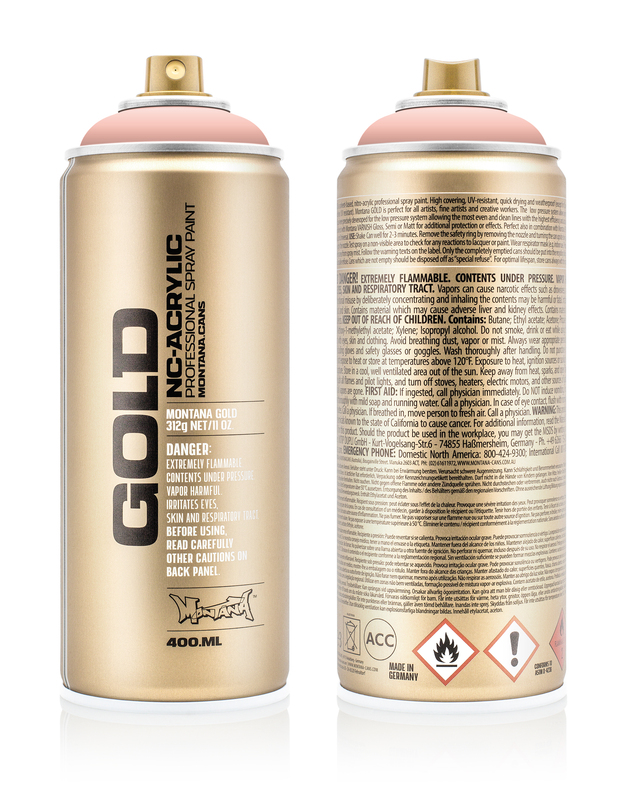 Highest Quality NC-Acrylic lacquer made in Germany. Low-Pressure for easy and soft use. Table below show detailed information on pigments, lightfastness and digital values to display the color.